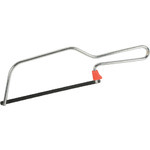 A 150mm / 6� junior hacksaw with plated steel frame, finger guard and replaceable blade. 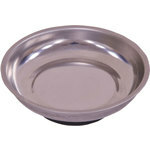 The ideal tool for making precise cuts in thin sheet and tubing made from metal and plastic. A practical, retractable craft knife with thumb locking mechanism, suitable for use around the home. 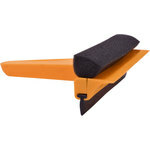 The hardened steel blade features snap-off sections to instantly return the knife to razor sharpness whenever required. Ideal for cutting materials such as paper, card and shrink wrap with confidence and precision. A lightweight torpedo spirit level with easy-to-read vials in horizontal, vertical and diagonal planes. Features magnetic and V-grooved faces for use on metallic and cylindrical surfaces respectively. Hanging holes at either end allow for hassle-free storage. 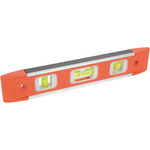 An essential tool for achieving square or 45� alignment in all sorts of domestic and professional work. 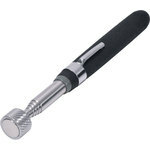 A soft grip screwdriver with reversible blade, providing 6mm slotted and PH2 Philips heads in one convenient tool. 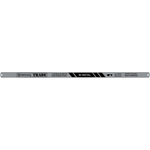 The hardened and tempered chrome vanadium blade is secured using a safety locking mechanism, enabling everyday use with confidence and precision. 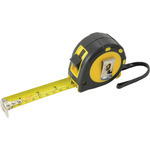 A retractable 5m / 16ft heavy-duty tape measure. Features a thumb locking mechanism, enabling measurements to be retained for reference or comparison, and a pause button on the base, which temporarily holds the blade while finger pressure is applied; ideal for marking out measurements, for example. 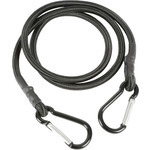 A belt clip and wrist strap provide hassle-free portability and ease of access in all locations and situations. A convenient magnetic pick up tool. 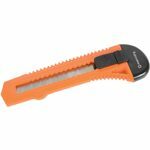 Ideal for picking up nuts, bolts and screws from inaccessible places up to 10lb in weight and extends up to 26" (660mm) long. 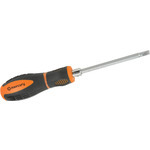 Features a soft-grip rubber handle for ease of use and a handy pocket clip to carry around, an ideal addition to any toolbox.